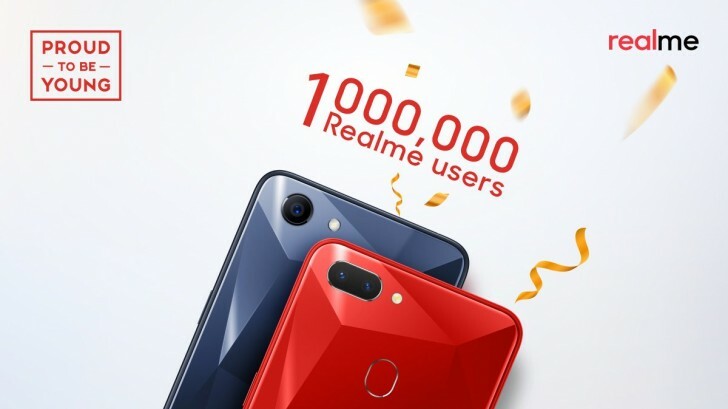 The Oppo sub-brand Realme is celebrating 1 million users, which is made all the more impressive by just how young it is – the Realme 1 launched in May this year and the followup came in August. The Realme 2 sold 200,000 units in the first flash sale, the second sale brought the total to 370,000. In both cases the available units ran out in minutes. There was another sale earlier today, but we don't have the numbers from that one. The 1 million number is a total of both the Realme 1 and 2. Those two will be joined by the Realme 2 Pro in less than 10 days. |t's an achievement for their company. they said USERS. Don't mean BUYERS.